Giving back to our communities is infused in American culture, whether through donating to charity, serving in the military, or volunteering. At Southern Minnesota Initiative Foundation (SMIF) we are proud to be placing people in service roles across the region through the national AmeriCorps program. AmeriCorps, established in 1993, engages more than 80,000 Americans each year in intensive service to meet critical needs in communities. The scope of AmeriCorps is far-reaching – members help communities recover from natural disasters, build affordable housing for families, promote environmental stewardship, assist veterans and military families obtain necessary resources, and more. At SMIF we are the host organization for a program that focuses on early childhood development called AmeriCorps LEAP (Learning Early Achieves Potential) Initiative. We place up to 20 members in early childhood settings, including preschools and nonprofit organizations, across our 20-county region. Our members work one-on-one and in small groups with young children, ages 3-5, building social and emotional proficiencies to prepare for kindergarten. Brain science research shows that 90% of our brain is developed between birth and age five. Research is now drawing strong links between the social and emotional well-being of children to their academic success. 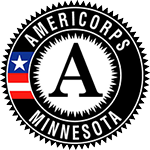 We currently have 12 active AmeriCorps members placed across southern Minnesota. Members connect children and parents with monthly book gifts and activities to promote daily 15-minute reading to strengthen bonds and expand word awareness. They facilitate daily breath breaks and body movement activities that build brain connections and develop learning readiness which is critical for overall school success. Teachers have noticed the overall calm that effective LEAP members bring to the classroom environment through targeted social emotional learning strategies. When our members start their service term they are immediately engaged in a professional learning community. They network with each other to share information, resources and best practices. SMIF facilitates monthly trainings and two retreats throughout the year. Our members recently completed their mid-year retreat where they attended trainings on working with children, discussed career planning, and developed a service project. This year of AmeriCorps service has a lasting impact on our members. Hilary Kelly enjoyed her service year so much that she returned for a second year. Kelly was placed in her hometown of St. Charles where she worked with preschoolers on managing emotions and practicing strategies to calm their body and mind so they could develop problem-solving skills. The experience serving in AmeriCorps solidified Kelly’s career path of becoming an elementary school social worker. She is currently working towards her master’s degree at the University of Minnesota. We have had former members, like Andrea Aguila, tell us that their experience serving in AmeriCorps literally changed their lives. Aguila was originally on a path to study medicine when she saw one of our recruitment posters in her college career office. She recently told us that her experience serving in the AmeriCorps program is the reason she is now working on her teaching degree. Regardless of whether our members go on to work with children or not, they all come away with experiences that support personal growth in addition to career growth. Members are encouraged to do a service project during their term, like David Glanz, who held a food drive and community event at the Saint Peter Community Center. Another member, Sam Brown, ended up launching a major music festival as his service project. He organized Mid West Music Fest in 2009 when he was serving in Winona. The event brings together more than 70 bands and musical acts at venues around the community. His experience with this project led to doing something similar in his hometown of Red Wing where he recently started Big Turn, a music festival where bands play in 18 historic downtown buildings. 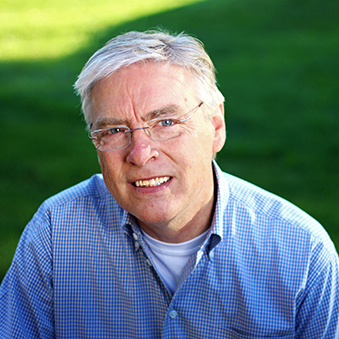 Visitors come to Red Wing in the winter for this festival, giving a boost to the economy during a time that is typically a low-traffic period. 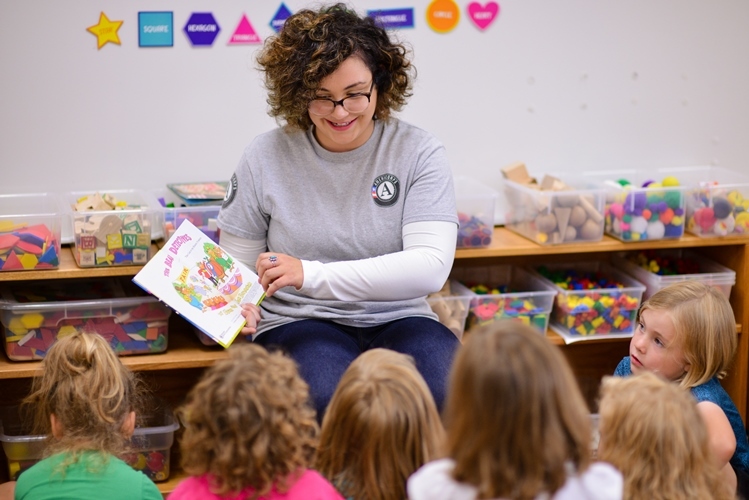 AmeriCorps service is about more than volunteering. SMIF’s LEAP program is about investing in the success of our region’s preschool-age children. It’s about building connections with the communities served. And, for our LEAP members, it’s about developing critical life skills, and pushing themselves to do more for the places they call home. We are currently accepting applications for the 2018 – 2019 service term (apply here!). For more information about our AmeriCorps program, contact Barbara Gunderson at barbarag@smifoundation.org.